Everyone dreams of bluebird riding, but did you know snow reflects 90% of that sunlight? That can wreak havoc on your vision! The Grayne GTO Polarized lens has come to the rescue. Eliminating glare and providing maximum definition is this lens's specialty! A spherical dual lens designed with 5x military grade anti-fog and sealed with Grayne's moisture-lock technology, this lens will keep your vision crystal clear no matter how bright it is. The lens also comes with UV treatment and is covered with an ultra-hardened anti-scratch layer of protection. 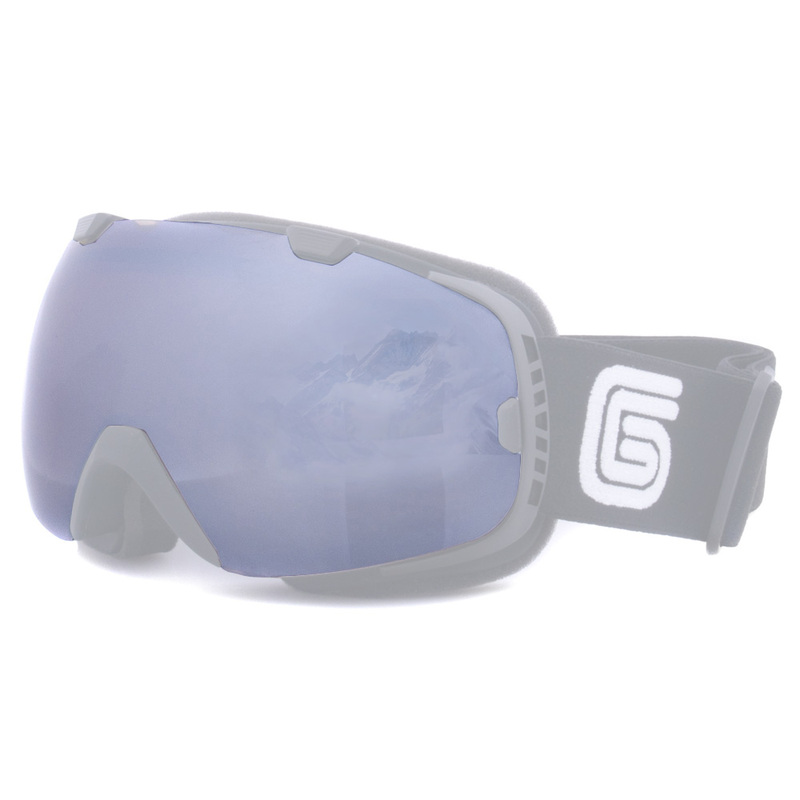 Make sunny days on the slopes even better with the Grayne GTO Polarized lens!